The ›Melody of Life‹ comes directly from the heart of the Osterholz-Tenever district. How does it sound? Different every time! 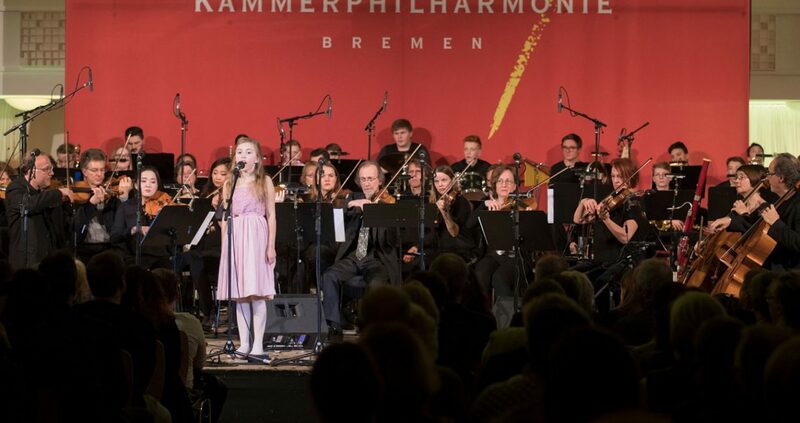 Yet the basic formula for this unique format from The Deutsche Kammer­philharmonie Bremen’s Future Lab remains the same; schoolchildren who turn their lives and feelings into songs and take them to the stage where they are instrumentally accompanied by a world-class orchestra. 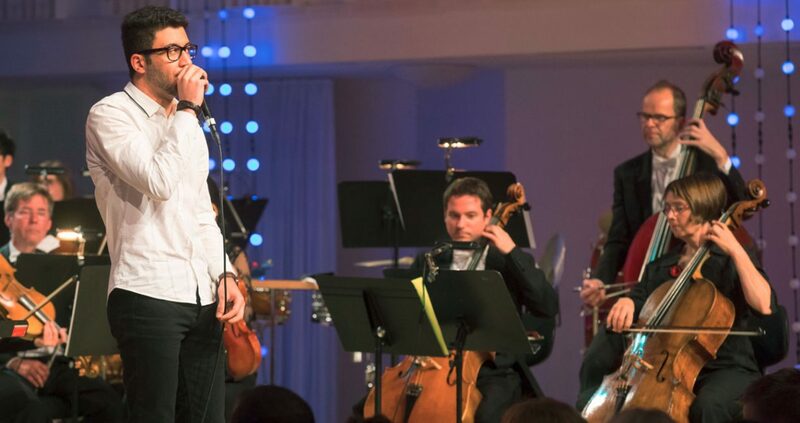 Always present are teachers who form the group ›Hot Päds‹ and the composer-pianist Mark Scheibe, who works together with the young people to bring the songs to maturity and adopts the role of charming compere for the final performance; a stage experience you will never forget. Thu. 6 June & Fri. 7 June 2019, 7.30 p.m.
Several weeks before the show, Berlin-based composer and pianist Mark Scheibe travels to the Bremen district of Osterholz-Tenever. Together, musical ideas are developed, texts and songs fine-tuned to maturity until they are ready for the stage. 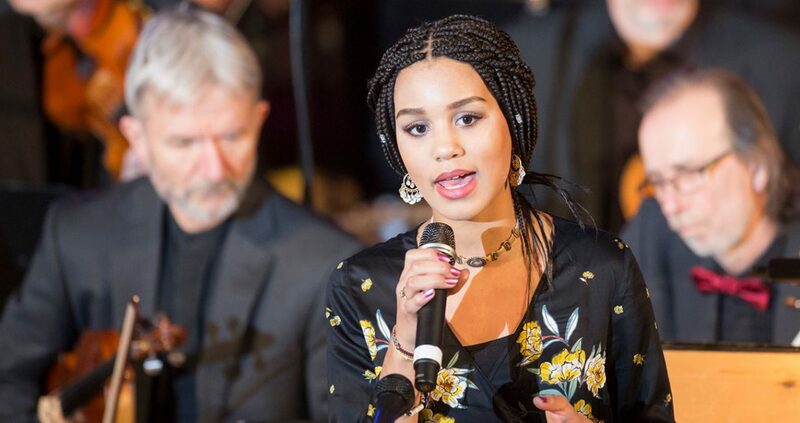 The young people are supported in rehearsals and also on-stage by a number of teachers who form the backing group ›Hot Päds‹ as well as members of The Deutsche Kammer­philharmonie Bremen, bringing both groove and depth to ensure a rich fullness of sound. 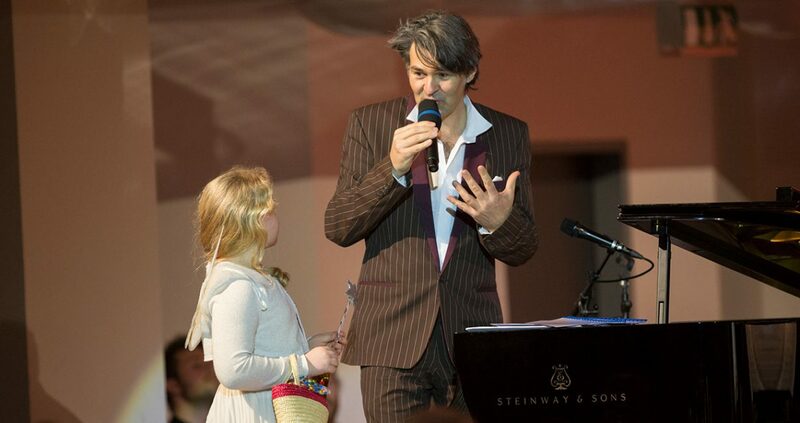 For »Showtime« composer becomes compere and Mark Scheibe entertains as he leads the way through this unique show in which the young performers are clearly the stars. Unique? 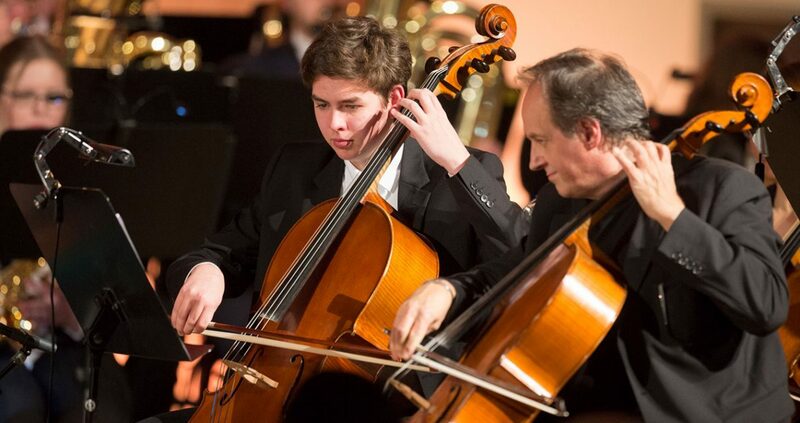 Perhaps not for very much longer, as a school on the outskirts of Tunisia is currently working on its very own ›Future Lab Tunisia‹ involving the Tunisian National Orchestra. The Kamel Lazaar Foundation is acting as partner to the project, which is also supported by a branch of the Foreign Ministry. Hopes, dreams, fears and longings – these are just some of the topics which are given musical expression and which allow audiences an insight into the inner world of today’s younger generation; normal everyday life which may be reflected just as easily in a song praising nature as in a song portraying worries about the future or love. The truth is that ›Melody of Life‹ never sounds completely perfect, but it is often touching and always genuine. 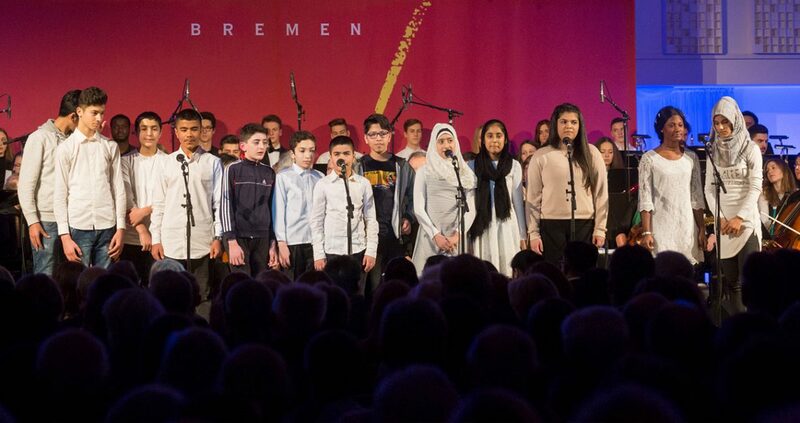 Since it moved into Bremen East Comprehensive School, The Deutsche Kammer­philharmonie Bremen has been developing numerous unique programmes in cooperation with the young people from the district of Osterholz-Tenever as part of its Future Lab project. The musical spectrum of the show series ›Melody of Life‹ is as varied as the district which produced it. Whether it be solo or group performances, whether rap, classical or chanson, anything is possible! Already over 20 editions of ›Melody of Life‹ have been performed so far, for which children have written more than 200 songs about their many stories and experiences.